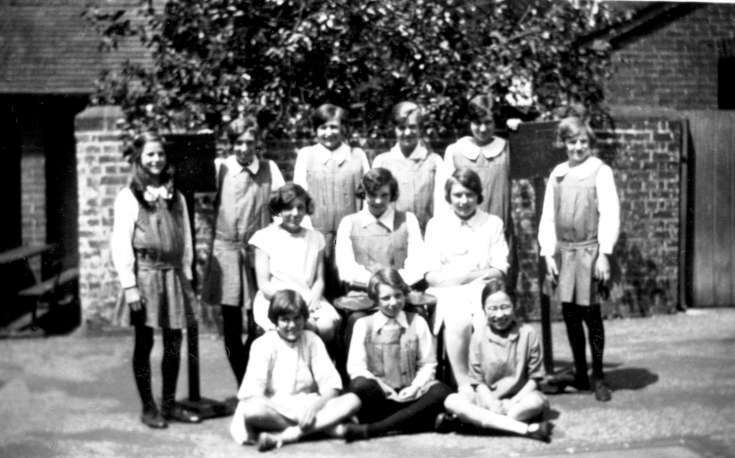 The picture is of Handcross school stoolball team in 1929. Also in the line up for the photograph are the two wickets but without the customary bats. On the extreme left is Eileen Stripp, and on the extreme right is Nora Longhurst, later to marry Ernest Rodney “Roger” Ray.